Work with the #1 influencer marketing agency to customize a unique campaign that will use our dedicated team of YouTube and social media influencers to find the best match for your products ensuring the best results through meaningful sponsorships. We have simplified the process of finding influencers on YouTube, Twitter, Facebook, Instagram, etc. at a price which works for your brand. Your marketing campaign can start for as little as $10,000 for an advertising campaign or $1,000 for an individual YouTube influencer. Work alongside us to choose from our Elite team of influencers to find the perfect fit for your brand’s marketing campaign. You can review each influencer’s YouTube channel, social media profiles, and audience demographics prior to selecting them. All you need is your brand and an open mind to make your ideal marketing campaign a reality. Whether it’s a product/game review on YouTube or a contest on Twitter, Spartan Elite Advertising allows brands to create the content they need to drive views, likes, and engagement from their target audience. Use the data generated by your previous sponsorship campaigns to refine future campaigns with us through audience demographics, user interests, and key metrics. Why are brands using Spartan Elite Advertising? Spartan Elite Advertising exclusively manages some of the top gaming influencers on YouTube via legal documents. Working with one of our exclusive influencers for a marketing and advertising campaign is the best way to ensure a high ROI. Not only can we keep costs down, but we can keep communications smooth. When brands choose Spartan Elite Advertising for their influencer marketing campaigns, we can help evaluate their exact needs and budget. We can give different options based on marketing budget or the best pricing based on preferred influencers and campaign model. From management and discovery to analytics and syndication, Spartan Elite Advertising enables brands to optimize video programming, social media syndication, and social reach. Spartan Elite Advertising monitors all of our influencers using integral ad science to ensure there is no advertising fraud at play. An estimated $18.5 billion was lost in 2015 due to ad fraud – rest assured, we will monitor all influencers 24/7. By working with our influencers, brands can utilize their audience and influential status to generate a buzz which will grow organically and virally across all social media platforms. Choosing influencer marketing over traditional marketing ensures that brands reach their target audience. 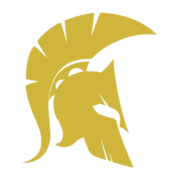 The Spartan Elite Advertising team has vast experience on both sides of the field: both in managing influencers’ advertising and marketing campaigns, and running successful channels on YouTube and various social media platforms. Our YouTube background gives us the knowledge we needs to help brands with their advertising needs.